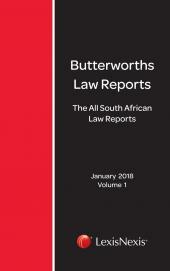 For the first time in South Africa, criminal cases have been identified across five main law reports series and consolidated into one subject index. 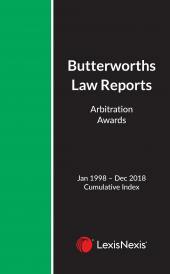 The user can now browse and locate criminal cases on topic from the All South African Law Reports 1996 to 2018; Appellate Division Reports 1910 to 1946; Butterworth's Constitutional Law Reports 1994 to 2018; South African Law Reports 1947 to 2018 and South African Criminal Law Reports 1990 to 2018. The broad range of subjects are arranged alphabetically and under main headings, to make it easier to navigate this collection of 13 500 cases. There is also a table of cases with page references for easy reference. Comparisons can be made across a wide range of courts on a particular topic and developments over time can also be explored. Having such a broad collection of cases at your fingertips enables you to locate cases both for and against your case, so that you can be properly prepared. 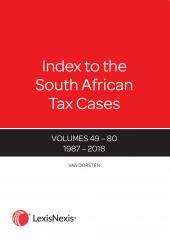 The index is an invaluable resource for the criminal law practitioner, saving research time and revealing cases that might go undiscovered if research was attempted on the five series separately.